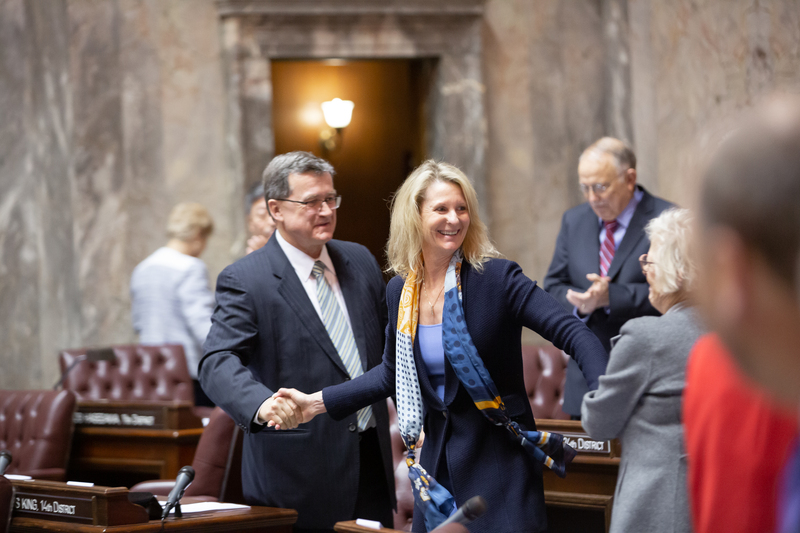 For this episode of the Everblue State, we spoke with Sen. Patty Kuderer (D-Bellevue). She represents the 48th District, serves as the assistant floor leader, and chairs the newly formed Senate Housing Stability & Affordability Committee. This year, she’s passionate about a bill that would help Washington reduce its dependence on single-use plastics. Her proposed straw ban takes a different approach than Seattle’s, and was brought to her by high school students. Read more about Senate Bill 5077 here. She’s also working to raise Washington’s smoking age to 21 through Senate Bill 5057. You can learn more about that bill here. She has a bill that would ban large capacity magazines — the favorite of mass shooters. You can find more on Senate Bill 5062 here.